Ahem. Anyway, Fire Emblem. I decided to redesign Nyx. 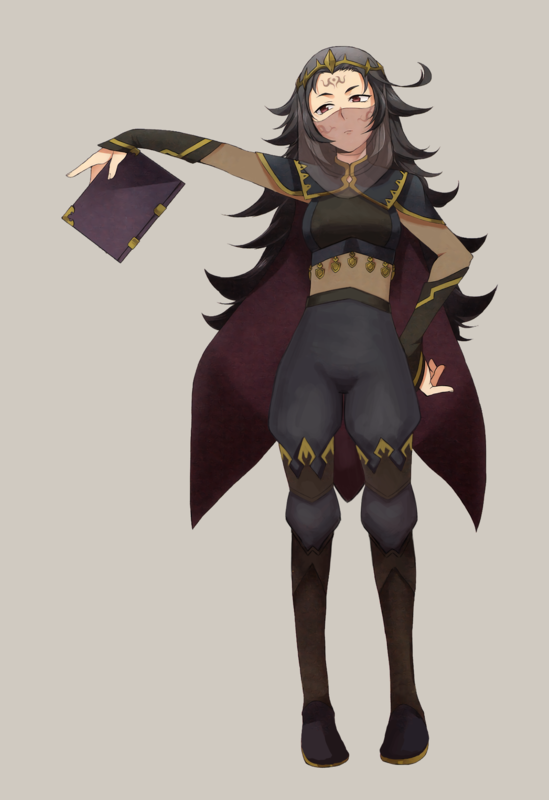 I don’t know what it is with me and FE dark mage types. 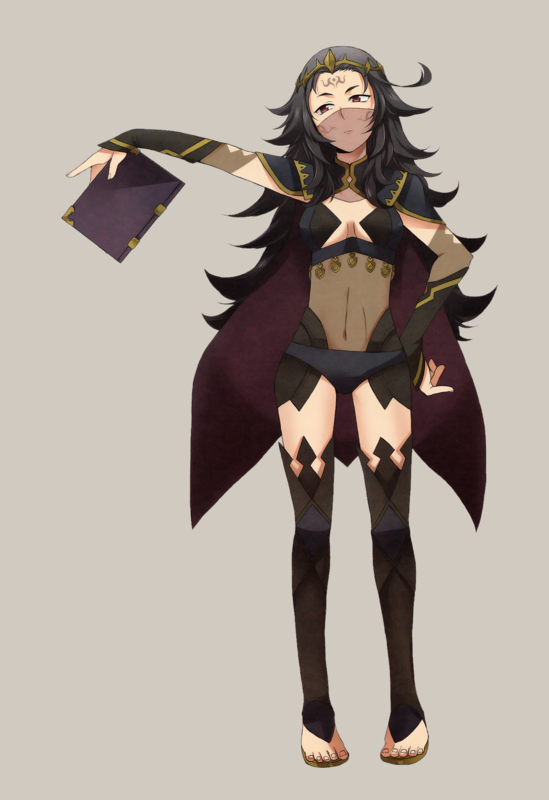 Mostly, what caught my eye was that this was another FE woman who looks way younger than her age, while wearing strangely revealing clothes. Most of the edits I did involved giving her an actual shirt, rather than…. uhh?? … as well as some PANTS. I also broke up her shoes into two parts mostly for the design aspect. Such tall thigh-highs make any non-leggings look weird. 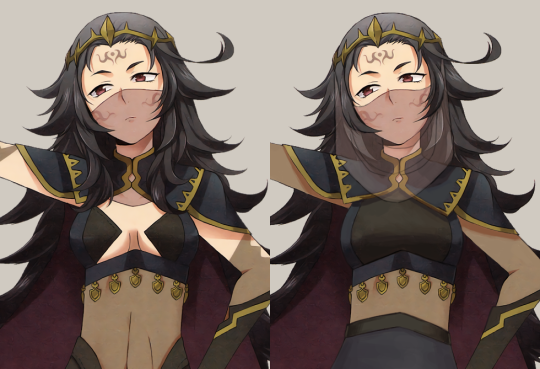 The last big change was her veil, which I tried to make a little more realistic-looking. I’m not sure how, in the original, the veil is supposed to be hanging down, but then be behind her long bangs that fall close to her face?? The dark skin-tone parts on her clothes are opaque, by the way. I was just too lazy to come up with another color for them, to be honest. This was definitely one of those streams where I was struggling to work with what I had… I probably could have done a better job given more time, but I’m fairly happy with it as it is now. I promise I’ll do a non-mage the next time we redesign Fire Emblem ladies.